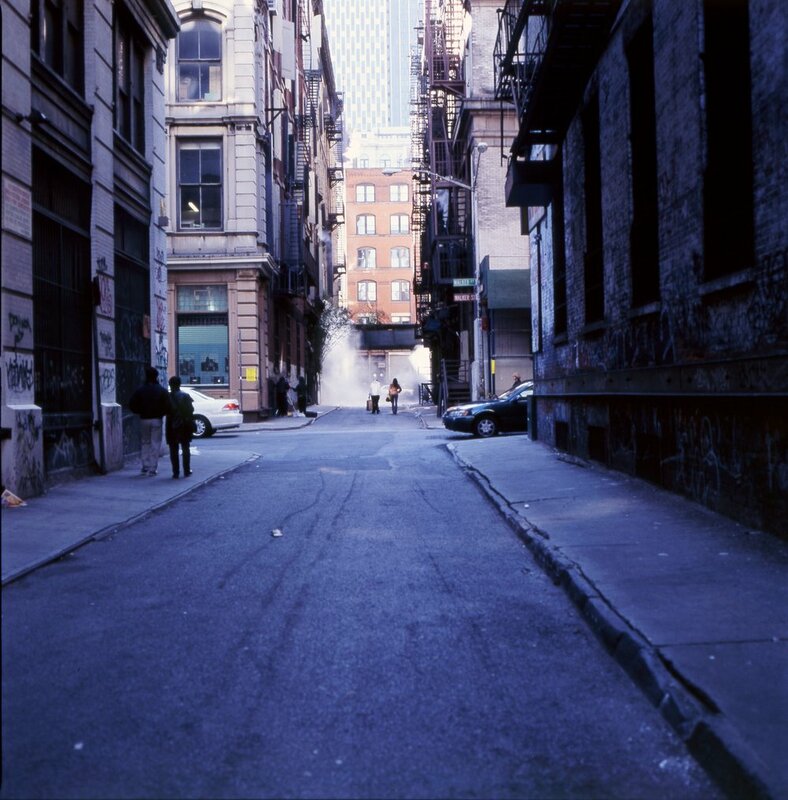 At selected times of the day, a section of Cortlandt Alley in downtown Manhattan was shrouded in fog, in a kind of urban earthwork enhancing various features of this picturesquely gritty downtown canyon. Translucent rubber puddles on the sidewalk mimicked the puddles created by the dripping pipes that poke out from factory windows. A scattering of tall bamboo trees grew from building niches augmenting the existing meager vegetation. The fog itself referenced the steam escaping from pipes that jut from garment factory windows above the Alley.